Hey Guys, In this video i'll explain you how you can hide your Google History/search data online to secure your privacy. 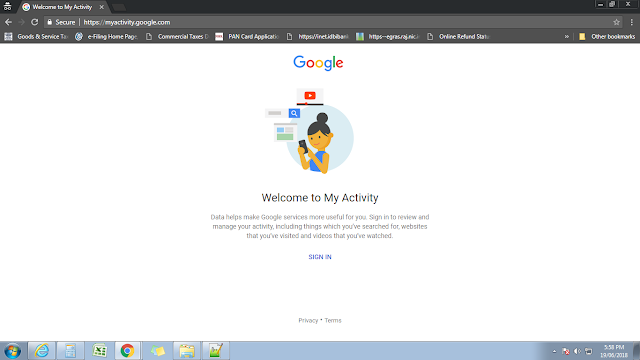 You'll get to know the products you used like: google chrome, Android, Google Maps, Gmail all are recording your activities and storing these in My Activity section inside your Gmail Account. You'll be shocked by knowing that everything of our personal life details are inside google servers. Hello, दोस्तों में आज आपके लिए एक मजेदार Tip आया हु ! भले आपने Google Chrome की History Delete कर दी ही फिर भी आपका DATA Google के पास Stored रहता है (एक WEBLINK पर My Google Activity) तो में आज आपको बताउगा की How to Protect From this Storage System. 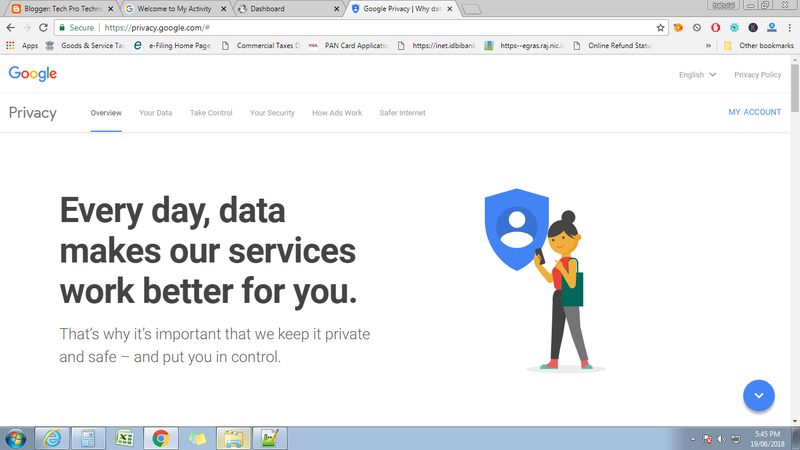 सबसे पहले जानते है GOOGLE की कुछ POLICY के बारे में ? 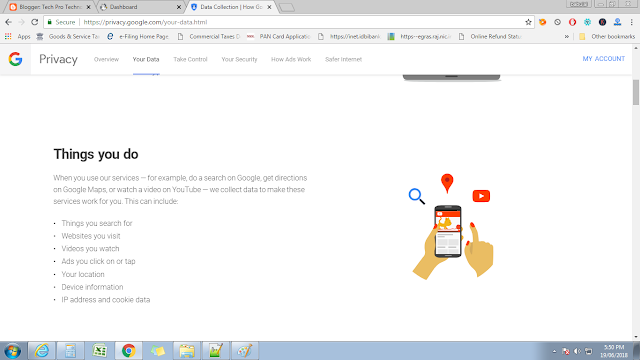 Google सब Collect करता है, की आपने कौनसी SITE VISIT की क्या SEARCH किया, कौनसी VIDEO देखी सब कुछ Stored करता है ! आपने क्या देखा वो देखने के लिए निचे दिए हुए link पर click करे ? 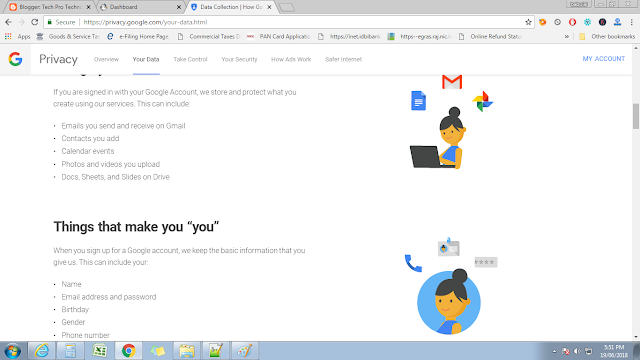 GOOGLE पर मैंने क्या-क्या SEARCH किया आपको बताता हु केवल आपको ? GOOGLE SEARCH DATA कैसे DELETE करे ?? 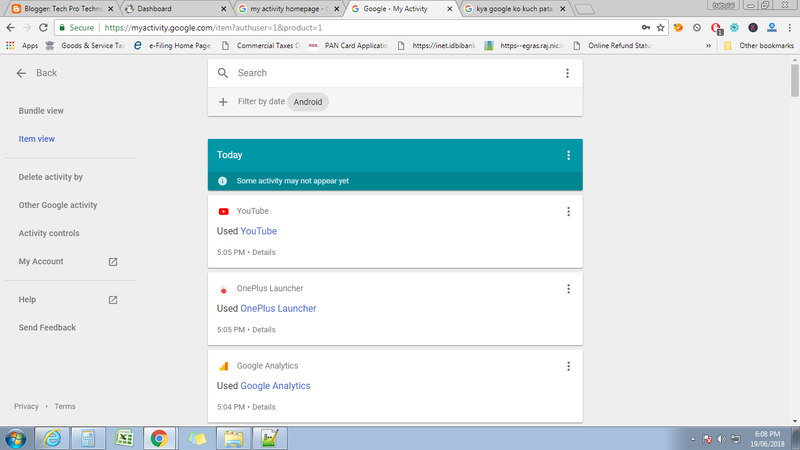 Delete Activity By पर CLICK करे ! और अपने DATA को GOOGLE से बचाओ !!! क्यूंकि Google आपको देख रहा है !!! Post को पढ़ने के लिए आपका धन्यवाद !!!!! bye-bye एक बार फिर से मिलेंगे एक NEW POST के साथ !!! !